"Navigating the Future: An Economic and Political Forecast"
The Triangle is currently experiencing a period of tremendous growth. There seem to be new buildings popping up on every block. How is this growth affecting the commercial and housing markets, and in turn, the broader economy? Is our infrastructure keeping pace with our growth? Is this growth translating into new job opportunities? And how will the mid-term elections affect it all? 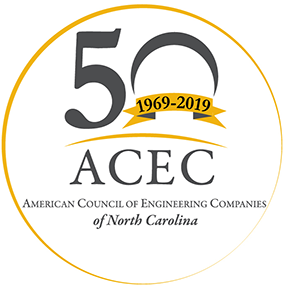 Explore these and other questions with expert panelists from the Office, Industrial, Retail and Residential market sectors and the political arena at the 2018 ACEC/NC B&I Symposium. DEADLINE to register is Friday, September 28th. Registrations made after this date will be charged the Late Registration rate of $100. No refunds will be given after September 14th.